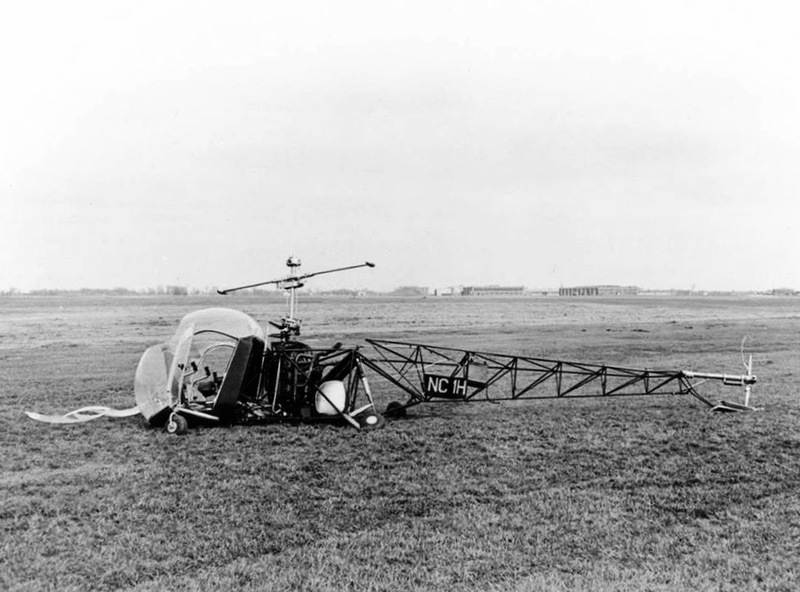 3 April 1946: The first commercially certified helicopter, Bell Model 47 NC1H, serial number 1, was being flown by two Bell Aircraft Corporation test pilots, Edward F. Hensley and Gerald Arthur (“Jay”) Demming. Hensley was teaching Demming to fly the aircraft. Demming was hovering the helicopter about 15 feet (4½ meters) above the ground and began to transition to forward flight. Checking the instruments, he noticed that the engine was turning 3,100 r.p.m., the upper limit of its operating range. Intending to reduce the r.p.m., he moved the collective pitch control lever. 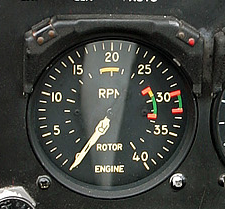 When the collective pitch lever is raised (controlled by the helicopter pilot’s left hand), it causes the angle of attack of all main rotor blades to increase, “collectively.” While this increases the amount of lift being produced, it also increases drag, which slows the rotation of both the main rotor and engine. Lowering the collective lever has the opposite effect. Drag is reduced, and the rotor and engine accelerate. 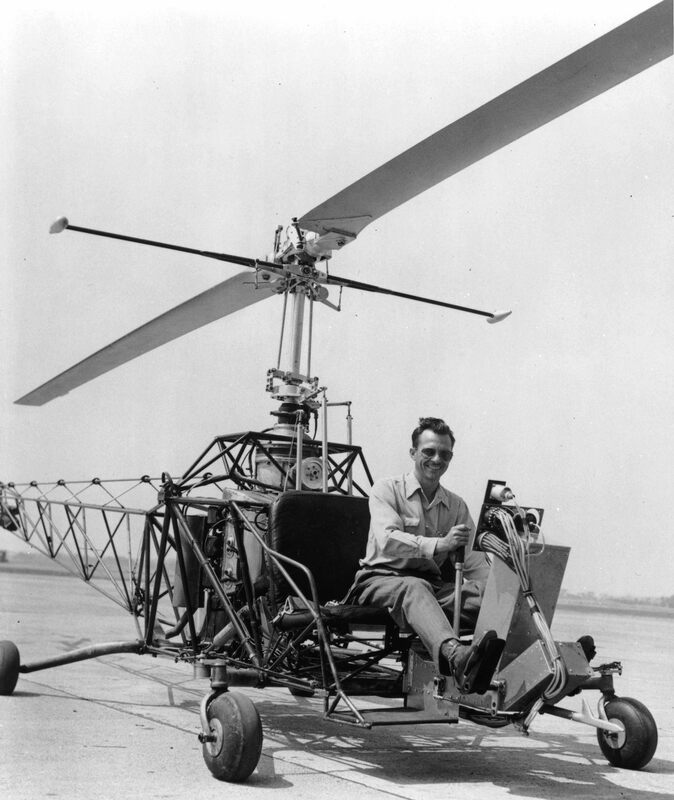 In an early helicopter like the Model 47, the pilot must manually correlate engine r.p.m. with main rotor collective pitch and tail rotor collective pitch. A twist-grip throttle is on the forward end of the collective lever for this purpose. Throttle adjustments are continuous during helicopter flight, as any change in the other controls will effect engine speed. Dual tachometer from a Bell 47G-3B1. Engine r.p.m. is indicated on the outer scale, while rotor r.p.m. is shown on the inner scale. As Demming was new to the helicopter, he had not yet learned to make these power adjustments automatically. Rather than raise the collective to slow the engine r.p.m., he inadvertently lowered it. This caused a sudden decrease in the rotor blades’ angle of attack and a corresponding decrease in drag. The load on the engine was decreased, but the throttle setting was not reduced accordingly. The engine accelerated to 3,400 r.p.m., which would have driven the main rotor to 378 r.p.m., 5% beyond its maximum operating r.p.m. (“red line”). 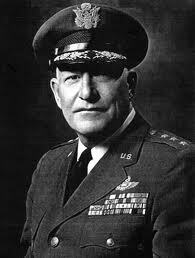 Recognizing his error, Demming raised the collective to control the engine/rotor r.p.m. There was a violent shock. NC1H fell to the ground from a height Demming estimated at 30–50 feet (9–15 meters). After the impact, both Demming and Hensley were unconscious. 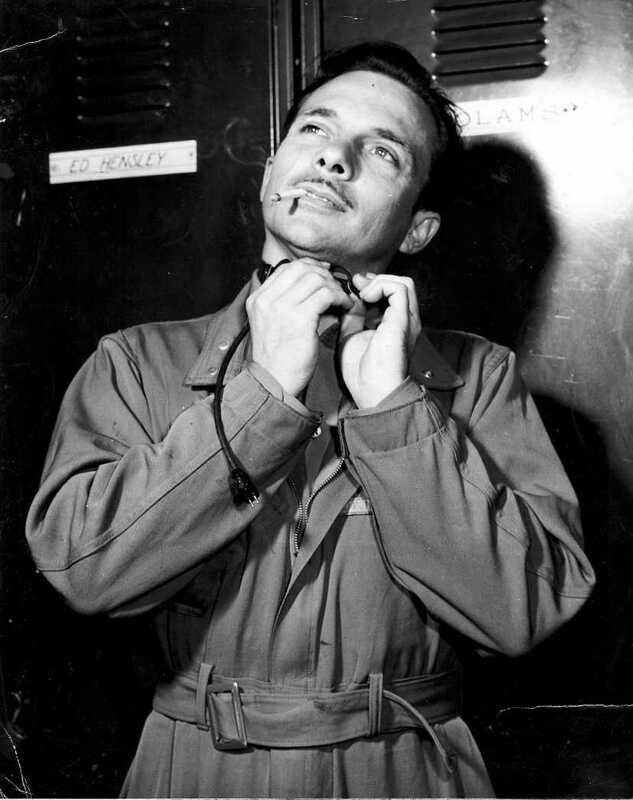 Demming soon regained consciousness and got out of the cockpit, while airport fire/rescue personnel looked after Hensley. Hensley had fractured three vertebra and was initially not expected to survive his injuries, but he did eventually recover. 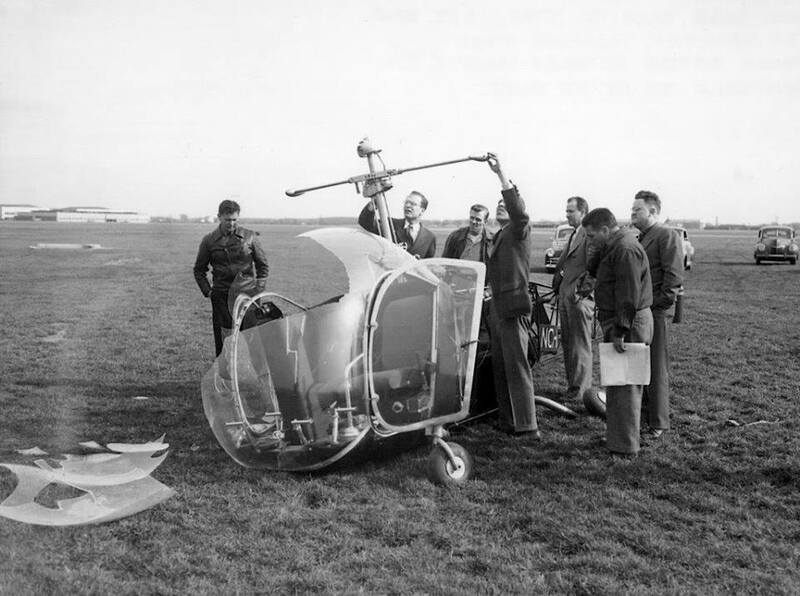 NC1H, the first civil-certified helicopter, was damaged beyond repair. In photographs of the damaged helicopter, the main rotor yoke, blade grips, pitch horns, drag braces and the main rotor blades are nowhere to be seen. The gimbal ring, static stop, main rotor retaining nut and stabilizer bar are still in place. This suggests that the hub failed and the associated parts were thrown outward, away from the axis of rotation. 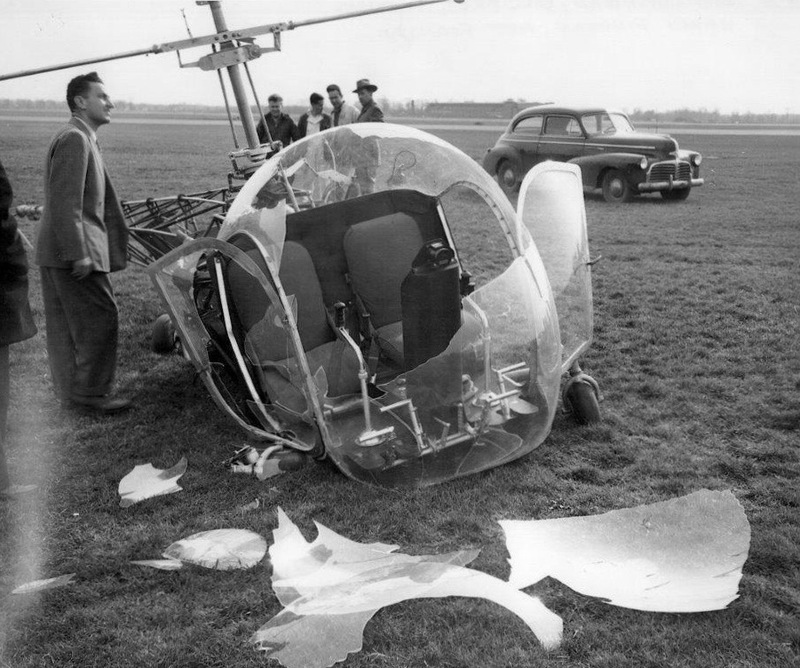 With nothing to support it in flight, the rest of the helicopter dropped to the ground like a stone from your hand. NC1H (originally registered NX41962) had first flown on 8 December 1945, and had received the very first civil helicopter Type Certificate, H-1, on 8 March 1946. At the time of the accident, NC1H had 75 hours, 42 minutes, total time (TTAF). Its engine had accumulated 136 hours, 50 minutes, since being manufactured (TTSN). After the crash, NC1H’s registration number was reassigned to s/n 11. 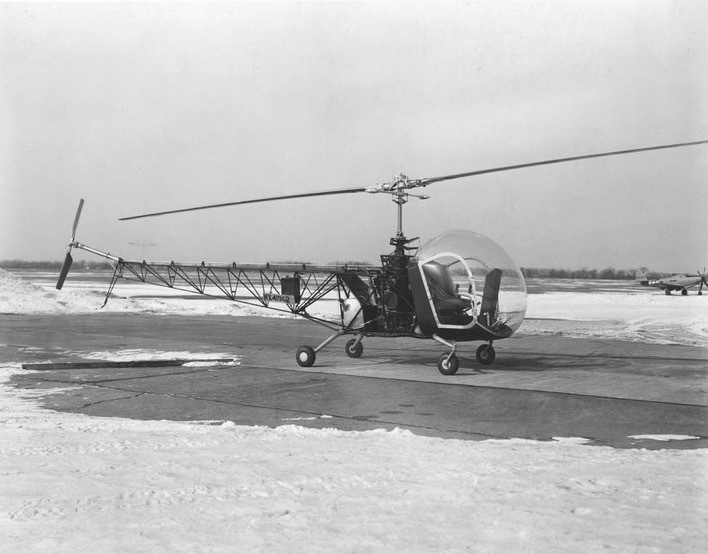 The Bell 47 series was constructed of a welded tubular steel airframe with a sheet metal cockpit and a characteristic plexiglas bubble canopy. 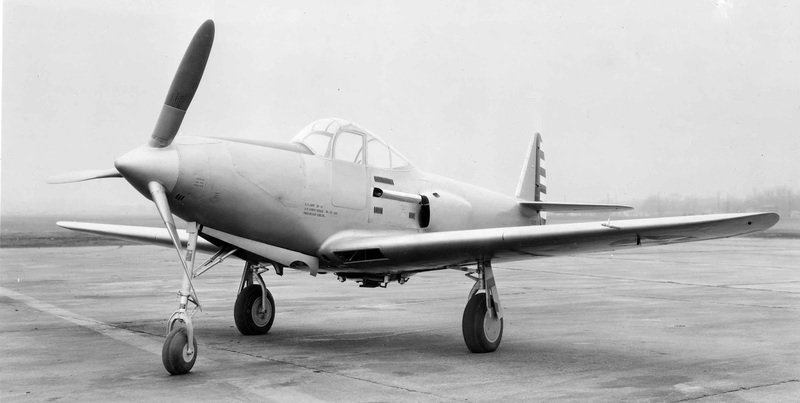 In the original configuration, it had a four-point wheeled landing gear, but this was soon replaced with a tubular skid arrangement. 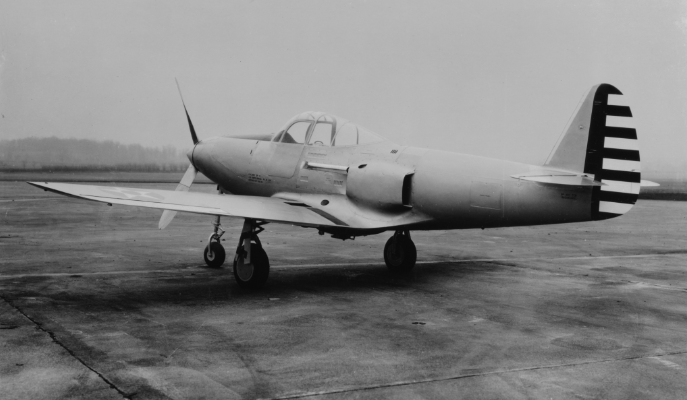 It was a two-place aircraft with dual flight controls. 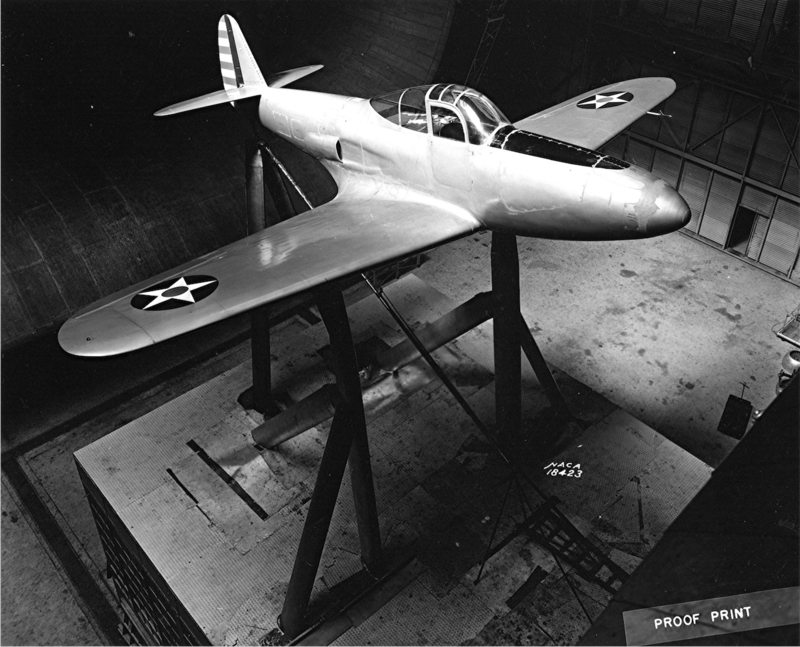 The first Bell Model 47 had an overall length (with rotors turning) of 39 feet, 7½ inches (12.078 meters). The main rotor diameter was 33 feet, 7 inches (10.236 meters). 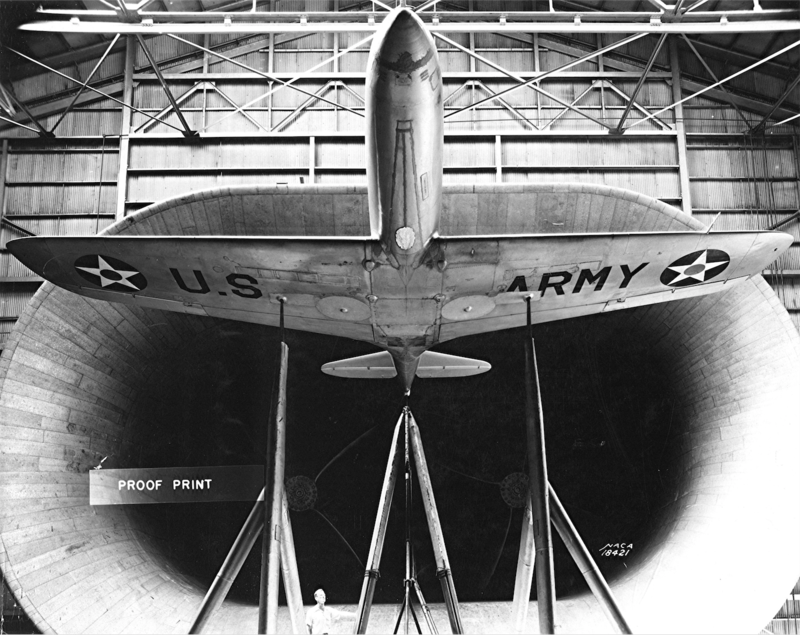 The length of the fuselage, from the front of the canopy to the trailing edge of the tail rotor disc, was 29 feet, 3½ inches (8.928 meters). The helicopter’s height, to the top of the main rotor mast, was 9 feet, 2–7/16 inches (2.805 meters). NC1H had an empty weight of 1,393 pounds (632 kilograms). Its gross weight was 2,100 pounds (953 kilograms). The Bell 47’s main rotor is a two-bladed, under-slung, semi-rigid assembly that would be a characteristic of helicopters built by Bell for decades. The blades were constructed of laminated wood. A stabilizer bar was placed below the hub and linked to the flight controls through hydraulic dampers. This made for a very stable aircraft. The main rotor turns counter-clockwise, as seen from above. (The advancing blade is on the right.) Its normal operating range is 322–360 r.p.m. (294–360 r.p.m. in autorotation). The tail rotor is positioned on the right side of the tail boom in a tractor configuration. It has a diameter of 5 feet, 5 inches (1.676 meters) and rotates counter-clockwise as seen from the helicopter’s left. (The advancing blade is above the axis of rotation.) 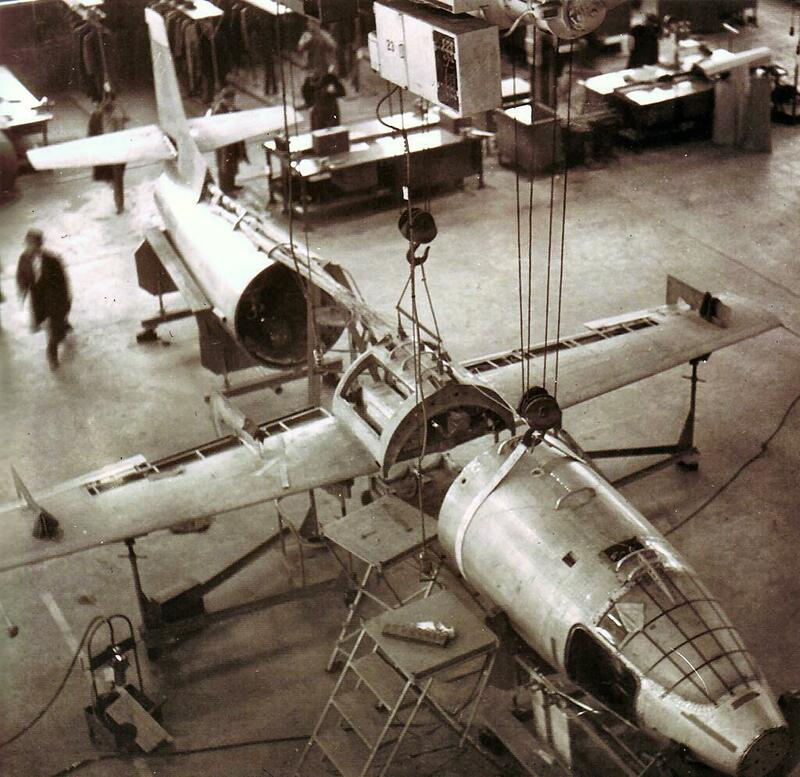 The tail rotor blades were also made of wood. Power was supplied by an air-cooled, normally-aspirated, 333.991-cubic-inch-displacement (5.473 liter) Franklin Engine Company 6V4-178-B3 vertically-opposed six cylinder engine, serial number 17008, which was rated at 178 horsepower at 3,000 r.p.m. Engine torque was sent through a centrifugal clutch to a transmission. The mast (the main rotor drive shaft) was driven through a two-stage planetary gear reduction system with a ratio of 9:1. 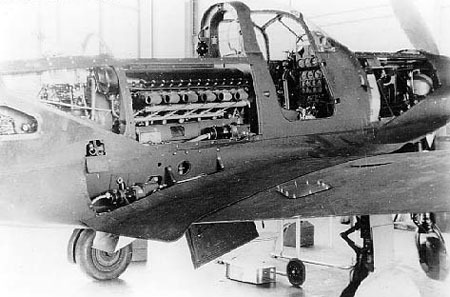 The transmission also drove the tail rotor drive shaft, and through a vee-belt/pulley system, a large fan to provide cooling air for the engine. The new helicopter had a cruise speed of 75 miles per hour (121 kilometers per hour) and a maximum speed (VNE) of 80 miles per hour (129 kilometers per hour). NC1H had a service ceiling of 11,400 feet (3,475 meters). 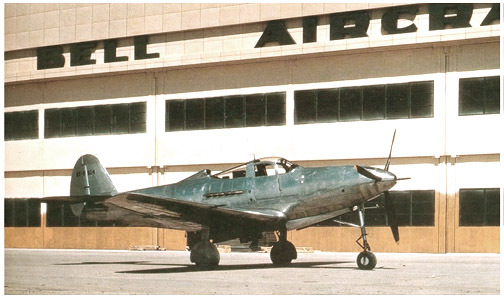 The Bell 47 was produced at the plant in New York, and later at Fort Worth, Texas. It was steadily improved and remained in production until 1974. 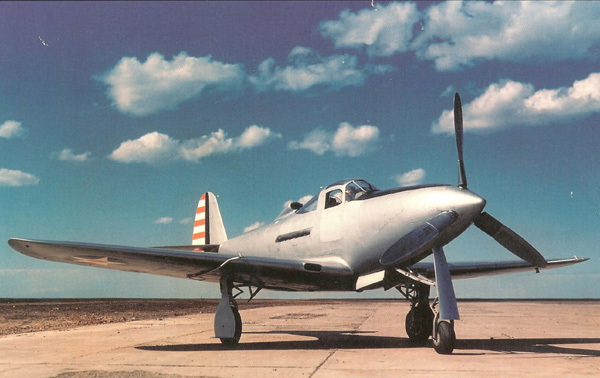 In military service the Model 47 was designated H-13 Sioux, (Army and Air Force), HTL (Navy) and HUG (Coast Guard). The helicopter was also built under license by Agusta, Kawasaki and Westland. More than 7,000 were built worldwide and it is believed that about 10% of those remain in service. In 2010, the type certificates for all Bell 47 models was transferred to Scott’s Helicopter Service, Le Sueur, Minnesota, which continues to manufacture parts and complete helicopters. 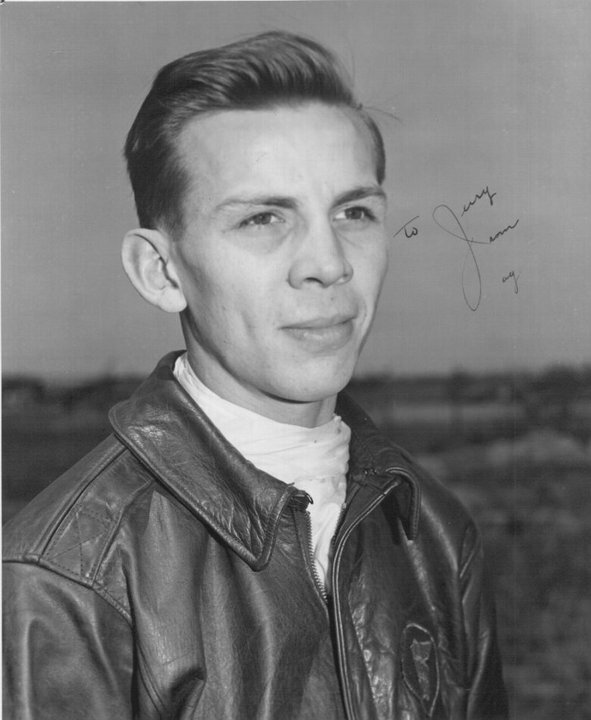 Gerald Arthur (“Jay”) Demming was born 4 July 1918 at Niagara Falls, New York. He was the son of Arthur L. Demming, Jr., a factory foreman, and Marie I. Demming. 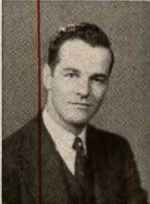 He attended La Salle High School, graduating in 1936, then the University of Illinois at Urbana Champaign. 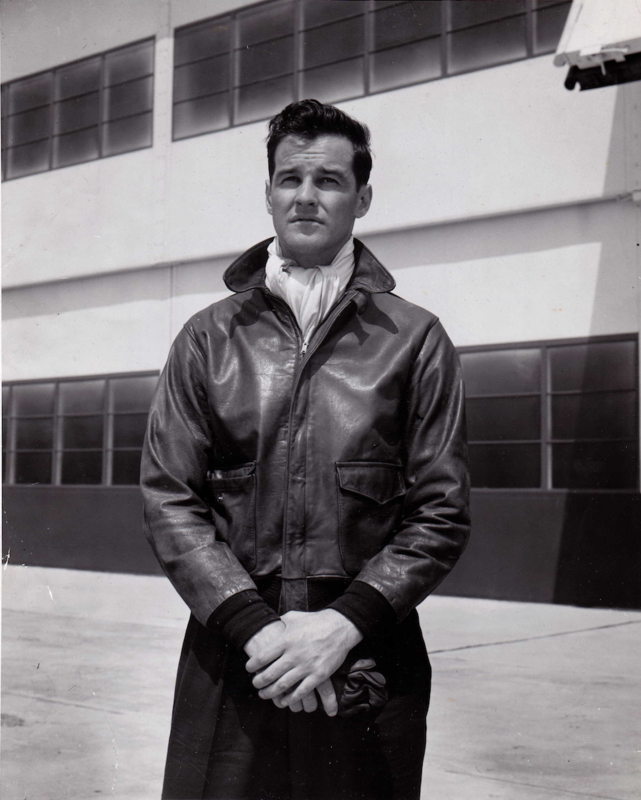 While at college, Demming entered the Civilian Pilot Training Program. He became a multi-engine and instrument flight instructor at Dominion Skyways Ltd., a flight school at Malton, Ontario, Canada. He was next employed as a civilian pilot for the Royal Canadian Air Force. 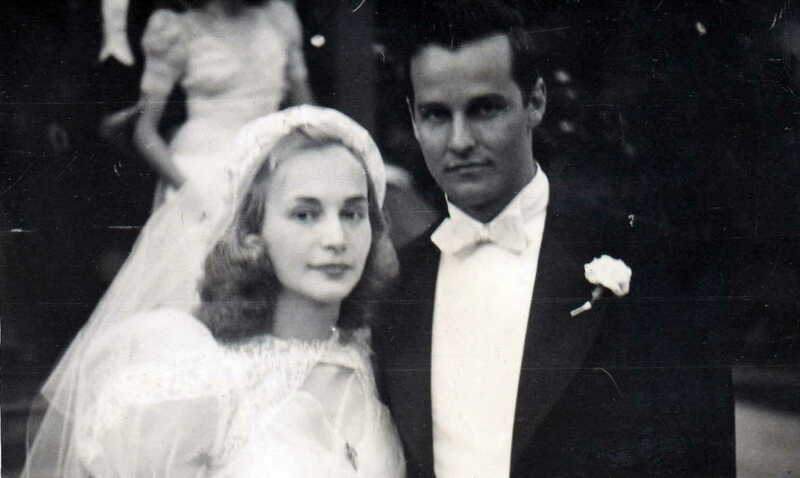 On 30 May 1942, Jay Demming married Miss Audrey Mary Prowse. They would have two children. They divorced im May 1966 in Brevard County, Florida. Gerald Arthur Demming died 20 May 1996, at Plant City, Hillsborough, Florida. Edward Freeland Hensley was born 22 November 1910 at Mountain Park, Oklahoma. He was the first of three children of Edward Hensley, owner of a real estate company, and Mamie A. Freeland Hensley. He attended John Brown College at Siloam Springs, Arkansas. Hensley had brown hair and blue eyes. He was 5 feet, 8 inches tall and weighed 135 pounds. Hensley married Miss Edith Hyla Collins in Oklahoma City, Oklahoma, 15 August 1931. They would have four children. In teh mid-1930s, Hensley worked for the U.S. Postal Service in Oklahoma City. He was a specical dleiveries manager. 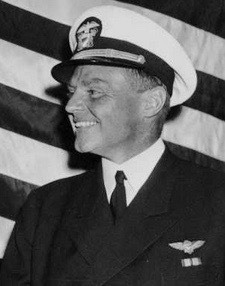 Hensley was issued a commercial pilot’s license in 1938. 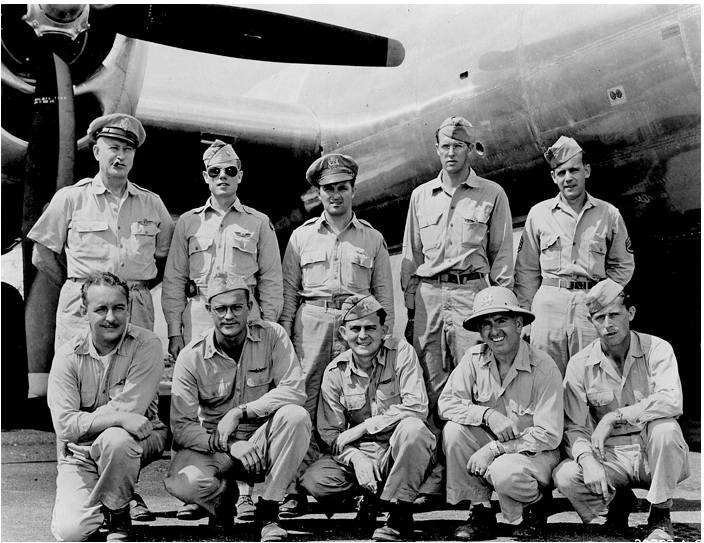 By 1940, he was a flight instructor at McConnell Flying Service, Parsons, Kansas. 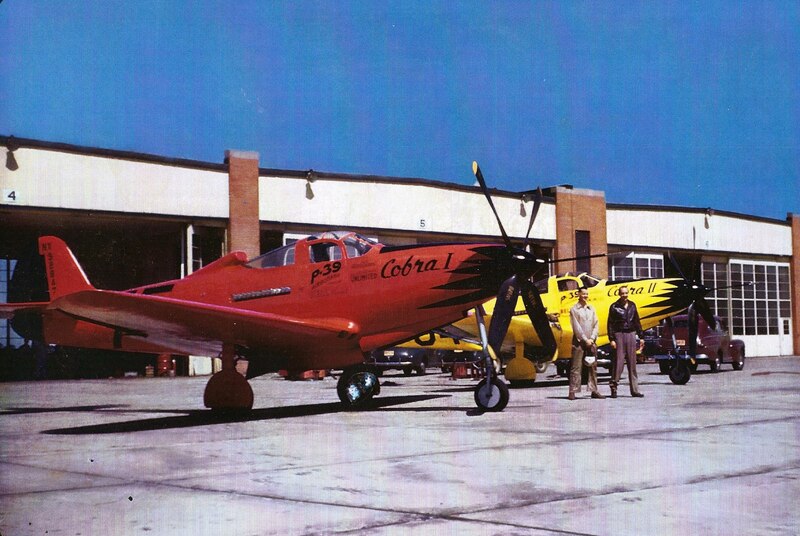 He was next employed as a civilian flight instructor for Brayton Flying Services, inc., at the U.S. Army contract flight school in Cuero Municipal Airport, Cuero, Texas. 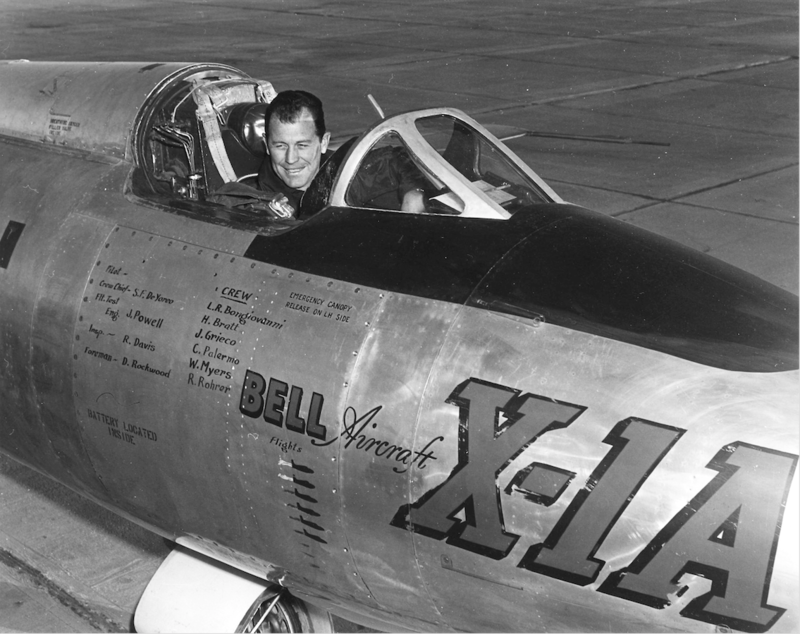 He then joined Bell Aircraft Corporation as a test pilot. 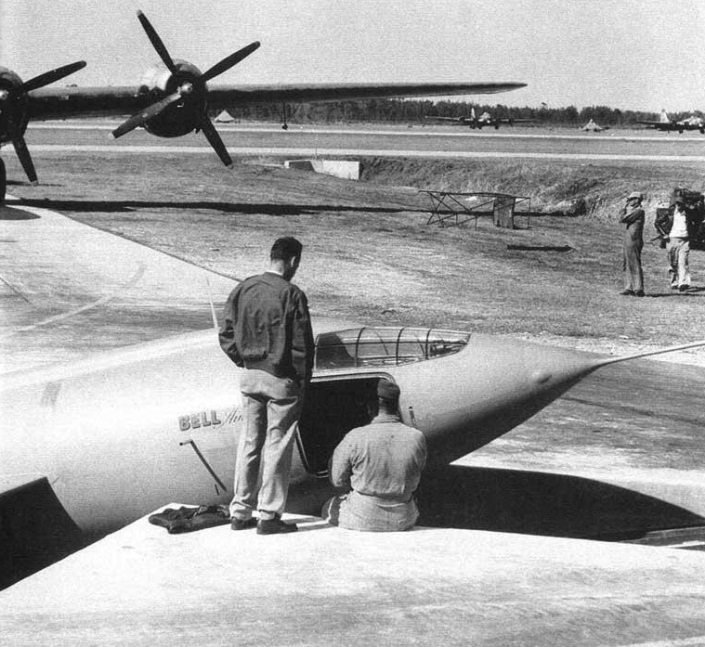 He later was a test pilot for the Boeing B-47 Stratojet at Wichita, Kansas. Edward Freeland Hensley died in June 1969 in Wichita. 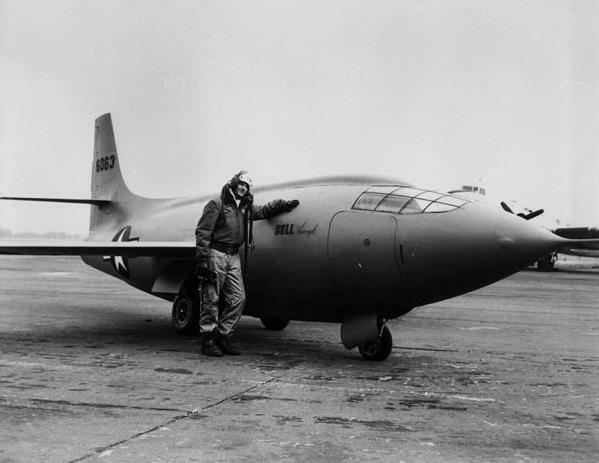 12 December 1953: On its tenth flight, U.S. Air Force test pilot Major Chuck Yeager flew the Bell X-1A rocket plane to Mach 2.44 (1,621 miles per hour/2,609 kilometers per hour) at 74,700 feet (22,769 meters), faster than anyone had flown before. 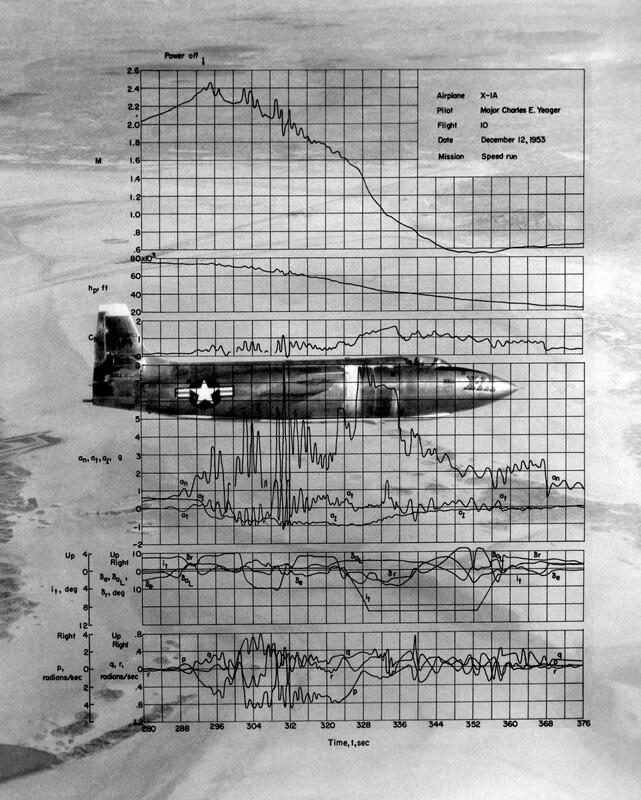 After the rocket engine was shut down, the X-1A tumbled out of control—”divergent in three axes” in test pilot speak—and fell out of the sky. It dropped nearly 50,000 feet (15,240 meters) in 70 seconds. Yeager was exposed to accelerations of +8 to -1.5 g’s. The motion was so violent that Yeager cracked the rocketplane’s canopy with his flight helmet. Yeager was finally able to recover by 30,000 feet (9,144 meters) and landed safely at Edwards Air Force Base. 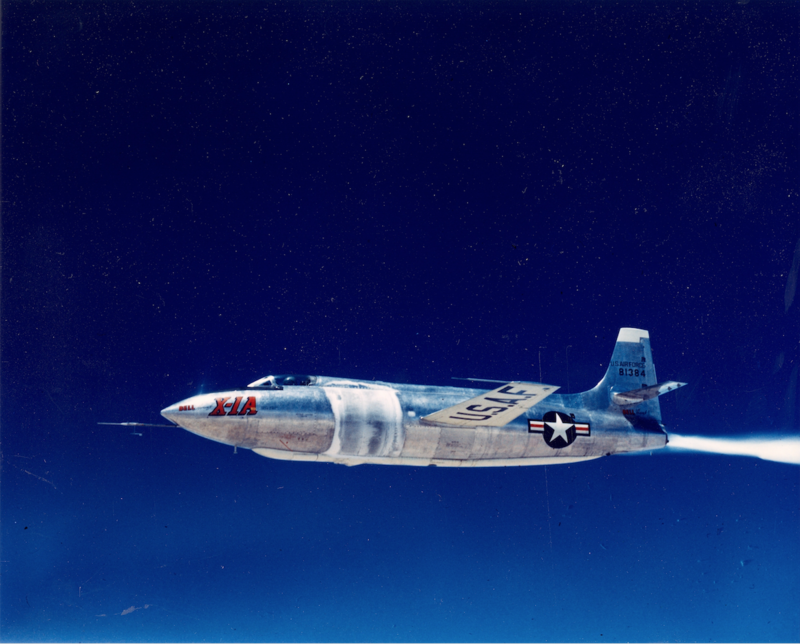 Yeager later remarked that if the X-1A had an ejection seat he would have used it. Bell Aircraft Corporation engineers had warned Yeager not to exceed Mach 2.3.
whether I can get back to the base or not. Chase (Ridley): At 25,000 feet, Chuck? Yeager: Can’t say much more, I got to (blurry—save myself). Chase (Ridley): What say, Chuck? Yeager: I say I don’t know if I tore anything up or not but Christ! Chase (Murray): Tell us where you are if you can. Yeager: I think I can get back to the base okay, Jack. Boy, I’m not going to do that any more. Chase (Murray): Try to tell us where you are, Chuck. Yeager: I’m (gasping)…I’ll tell you in a minute. I got 1800 lbs [nitrogen] source pressure. Yeager: I don’t think you’ll have to run a structure demonstration on this damned thing! Chase (Murray): Chuck from Murray, if you can give me altitude and heading, I’ll try to check you from outside. Yeager: Be down at 18,000 feet. I’m about—I’ll be over the base at about 15,000 feet in a minute. Yeager: Those guys were so right! Yeager: Source pressure is still 15 seconds, I’m getting OK now. Yeager: I got all the oscillograph data switches off. 4 fps camera off, it’s okay. Bell Truck: Jettison and vent your tanks. Yeager: I have already jettisoned. Now I’m venting both lox and fuel. Leaving hydrogen peroxide alone. Yeager: I cut it, I got—in real bad trouble up there. Yeager: Over the base right now, Kit, at 14,500 feet. Chase (Murray): I have you. Probably no other pilot could have come through that experience alive. Much later I asked Yeager, as a matter of professional interest, exactly how he regained control of the ship. He was vague in his reply, but he said he thought that after he reached the thick atmosphere, he had deliberately put the ship into a spin.
. . . Yeager received many accolades. I didn’t begrudge him one of them. If ever a pilot deserved praise for a job well done, it was Yeager. 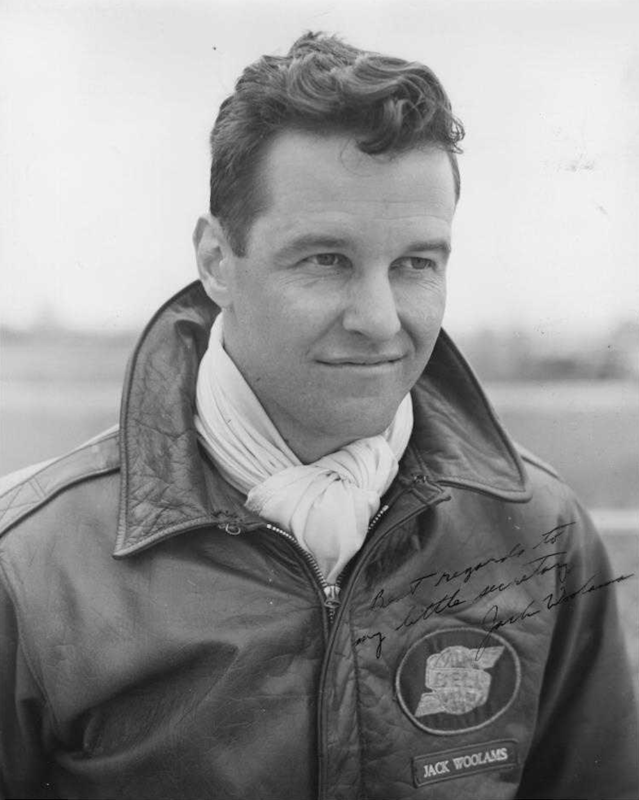 After that X-1A episode, he never flew a rocketplane again. —Always Another Dawn: The Story of a Rocket Test Pilot, by A. Scott Crossfield with Clay Blair, Jr., The World Publishing Company, Cleveland and New York, Chapter 19 at Pages 183–184. 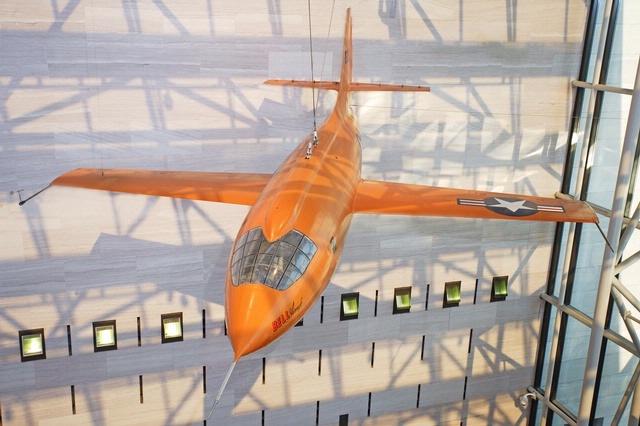 The Bell X-1A, 48-1384, was an experimental rocket-powered high-speed, high-altitude research aircraft. 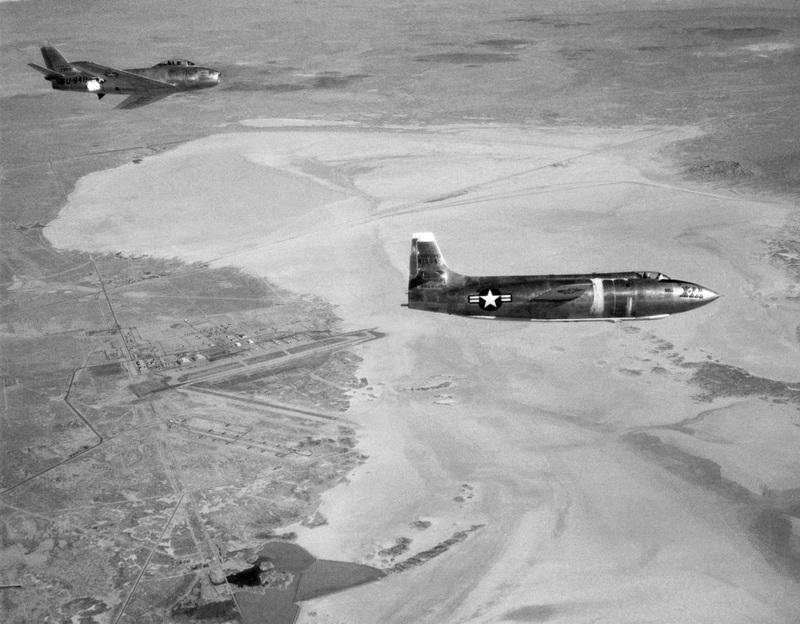 It was one of four second-generation X-1s (including the X-1B, X-1D and X-1E), specifically designed to investigate dynamic stability at speeds in excess of Mach 2 and altitudes greater than 90,000 feet. 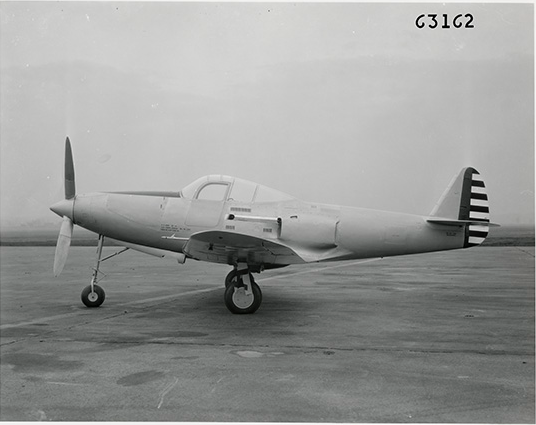 It was a mid-wing monoplane with retractable tricycle landing gear. 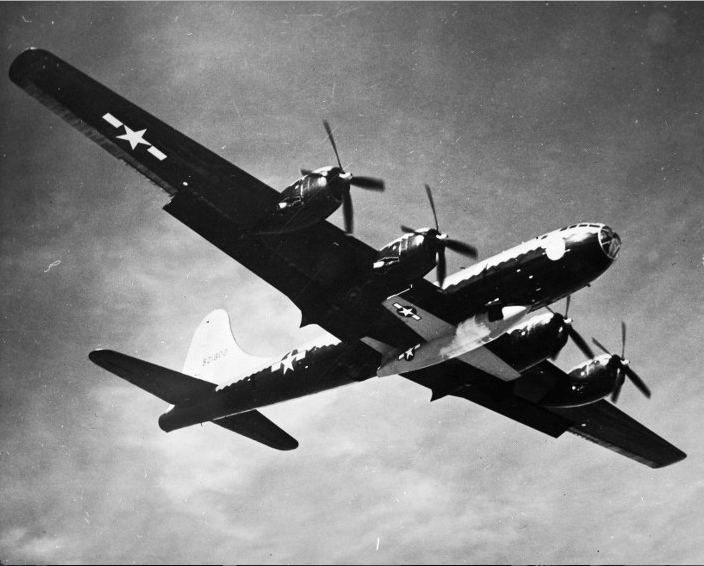 The airplane was 35 feet, 6.58 inches (10.835 meters) long with a wingspan of 30 feet, 6 inches (9.296 meters) and overall height of 10 feet, 2.37 inches (3.261 meters). 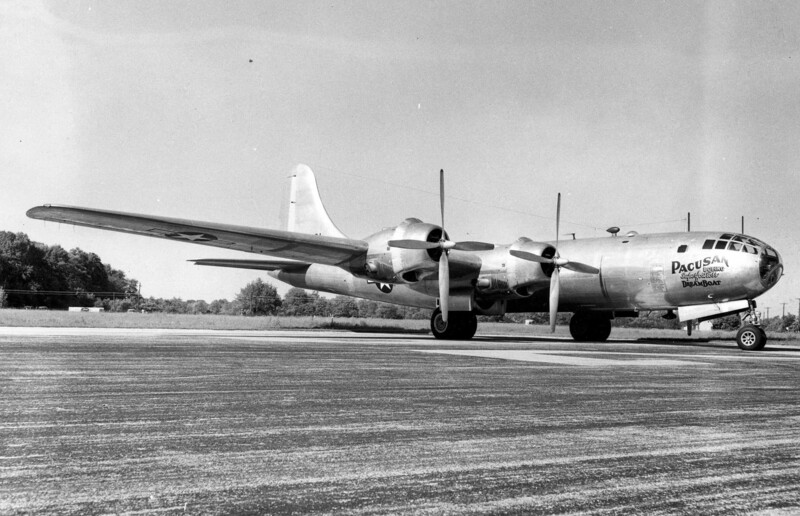 The wheelbase, measured from the nose wheel axle to the main wheel axle, was 13 feet, 5.13 inches. (4.093 meters). The main wheel tread was 4 feet, 3 inches (1.295 meters). 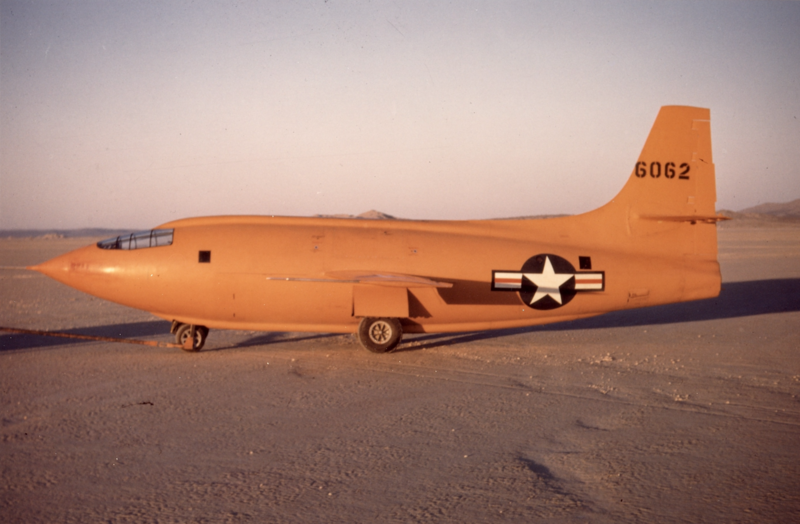 The X-1A design gross weight was 10,668 pounds (4,839 kilograms). 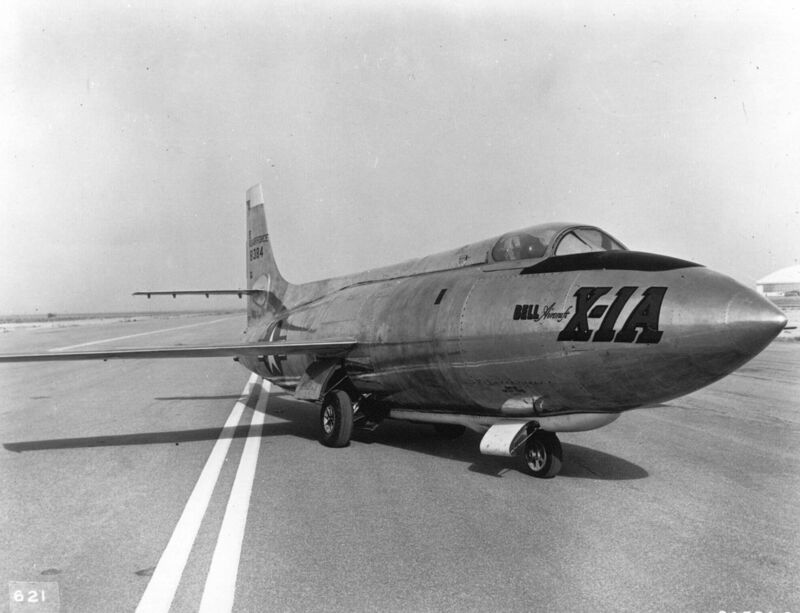 The X-1A was powered by a single Reaction Motors XLR11-RM-5 rocket engine with four independent combustion chambers. 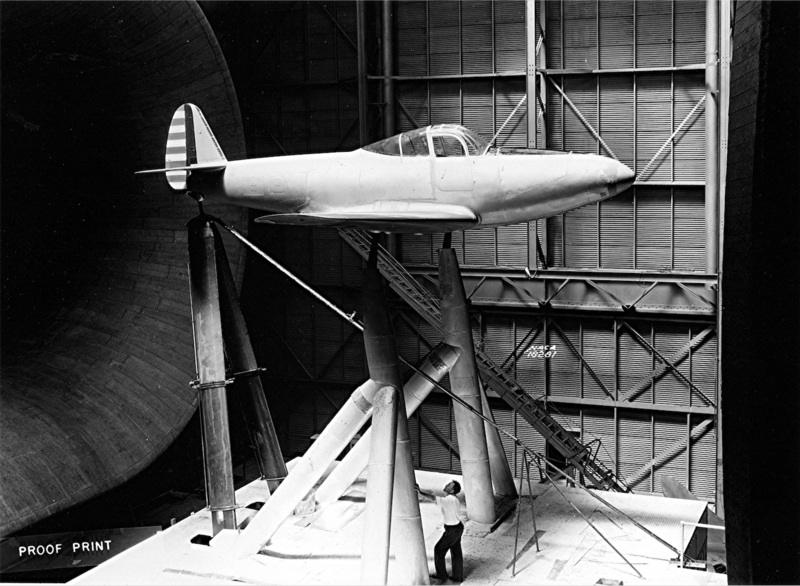 The XLR11 was fueled with ethyl alcohol and liquid oxygen. It produced 6,000 pounds of thrust (26.689 kilonewtons). 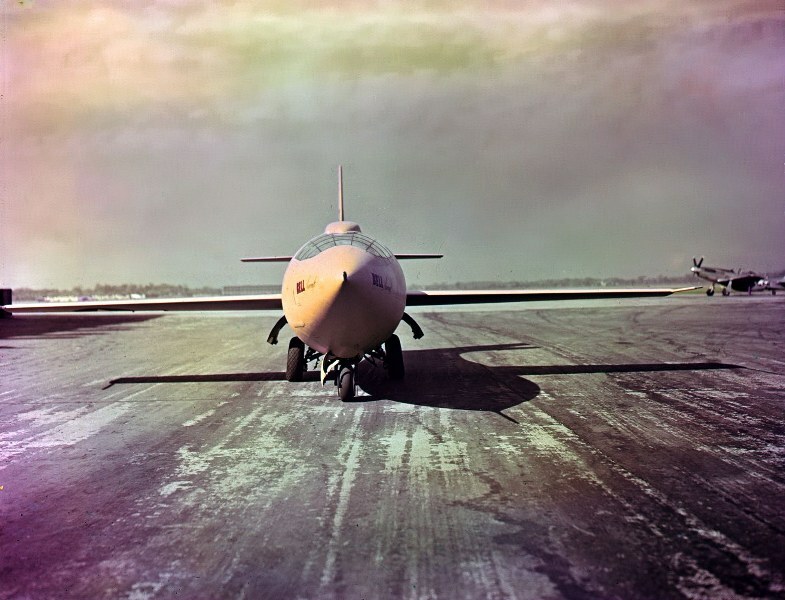 The Bell X-1A made its first flight 14 February 1953 with Bell test pilot Jean Ziegler in the cockpit. It reached its highest speed, Mach 2.44 on Flight 10. Its highest altitude was 90,440 feet (27,566 meters) on its 24th flight. On 8 August 1955, while still on board its B-50 drop ship, the X-1A suffered an external explosion. The rocketplane was jettisoned and destroyed when it hit the desert floor.